I don’t know about you, but I love the traditions of Saint Patrick’s Day. I love the idea of spreading luck and goodwill around. And it’s always fun to create something associated with luck. 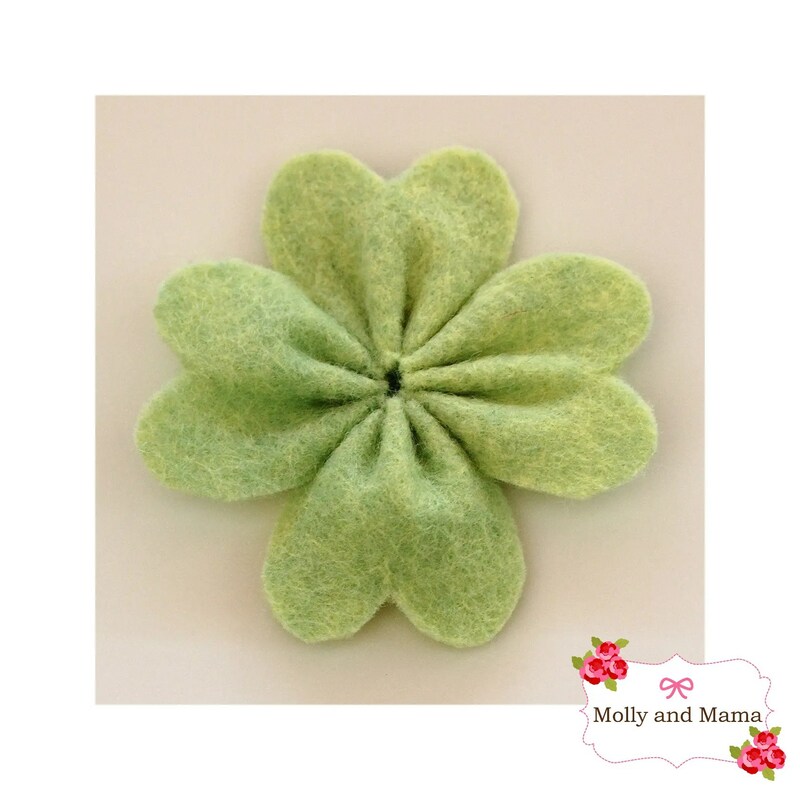 This little felt four-leaf clover is so easy to make and can be used to adorn anything! It’s a great starter project for young sewers too. – Use the cover image as a guide for this project. – Cut out 4 one inch squares of green wool felt. – Fold each square in half and cut a little scallop in the top of each piece using small sharp scissors. You’ll end up with two semi-circles at the top of each piece. – Thread a needle with green thread and stitch three small running stitches across the base of each piece of felt. – Gently pull the thread to gather the felt. – Secure the felt in place with some extra stitches. I like to stitch through each gathered piece again, just to be sure the gathering doesn’t come loose. – Use your little clover as a decoration. They’re perfect for hair accessories and home decor. 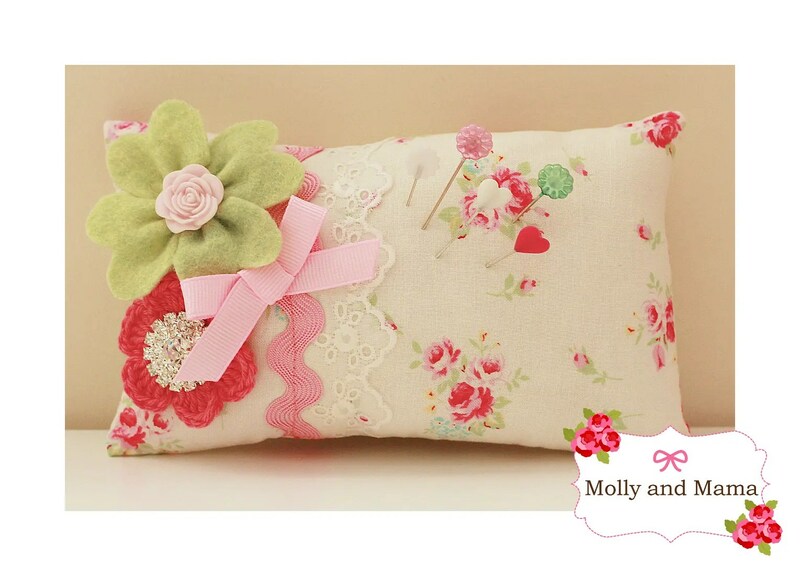 I used my clover to decorate what I now call my lucky pin cushion! You can see the tutorial HERE. Do you celebrate Saint Patrick’s day? What sorts of traditions do you have, or what activities do you do at home? I’d love you to share your ‘lucky’ creations too.